The whole point of money IS to spend it on things you love. Pleasure purchases should not be a source of shame. Do you have a favorite pleasure purchase? 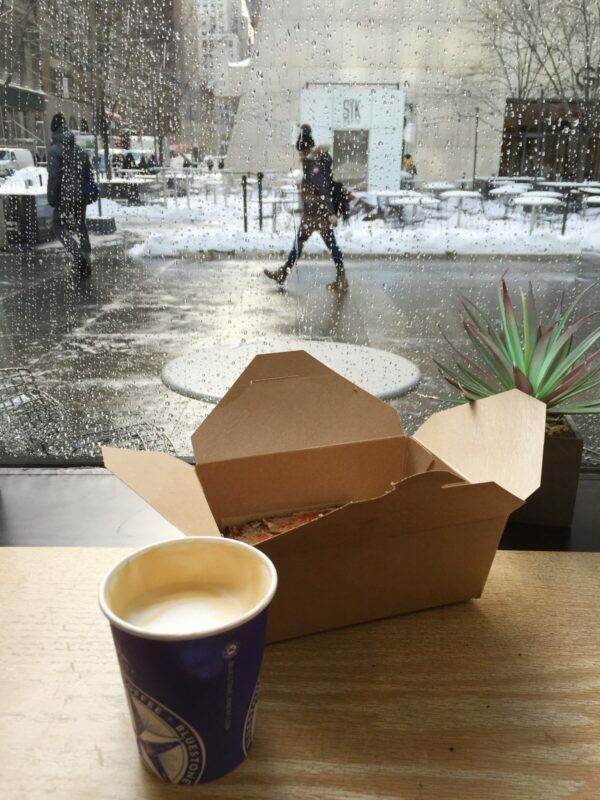 Bluestone Lane Coffee is influenced from the renowned coffee culture hub of Melbourne Australia, where premium coffee is a way of life. Wednesday was the day after the blizzard that wasn’t much of a blizzard. 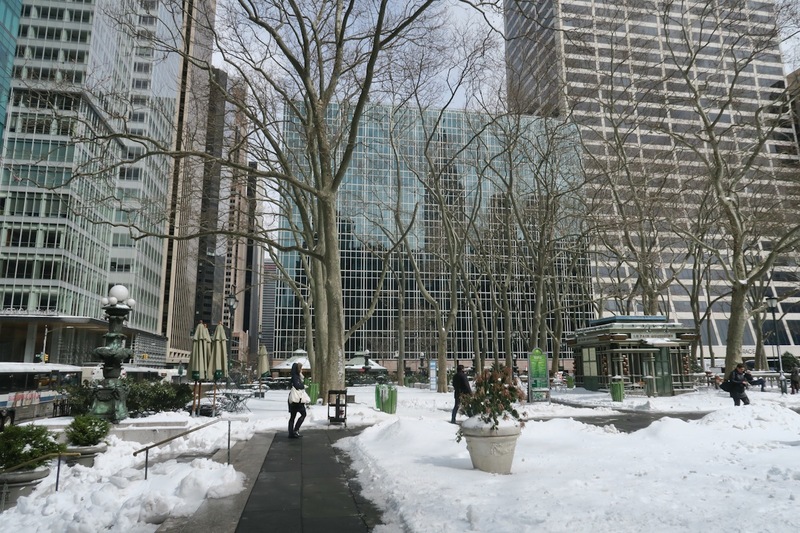 We didn’t get nearly as much snow as we did with Jonas. I considered going out to take pictures, but Jonas happened on a Saturday. This happened on a Tuesday, and so I had to work. 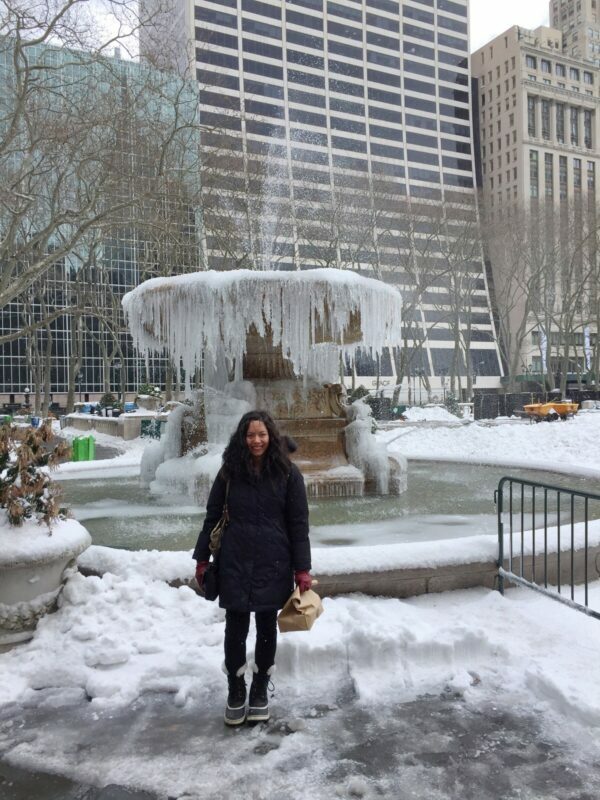 At least I got to work from home and stay safe. 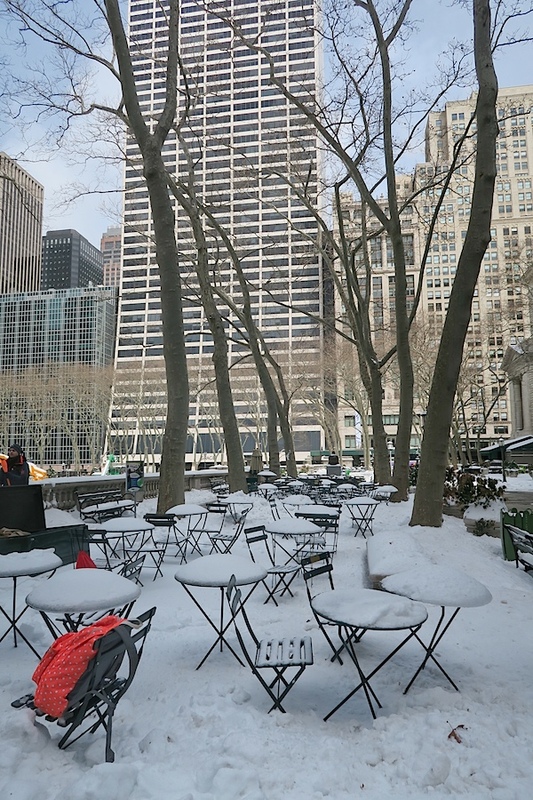 So, here are some photos around Bryant Park the day after. 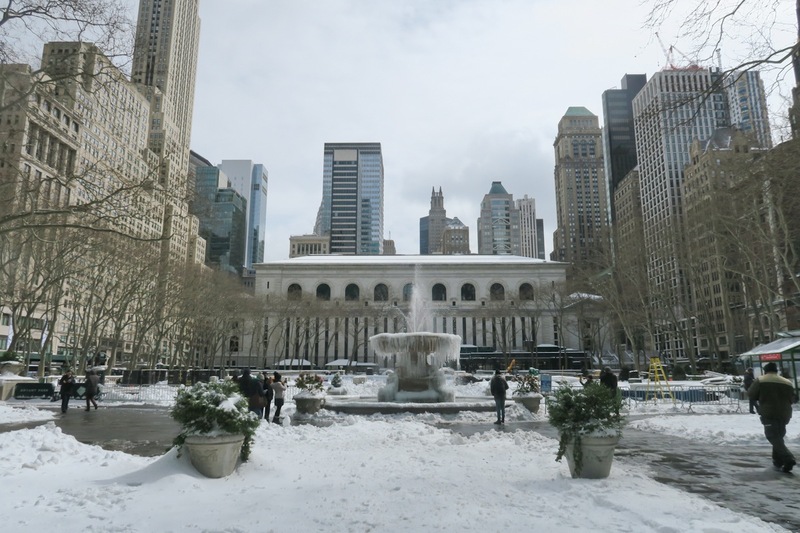 The snow was gone, but the weather was so cold, the famous fountain was super icy. A closer look. Me with lunch. 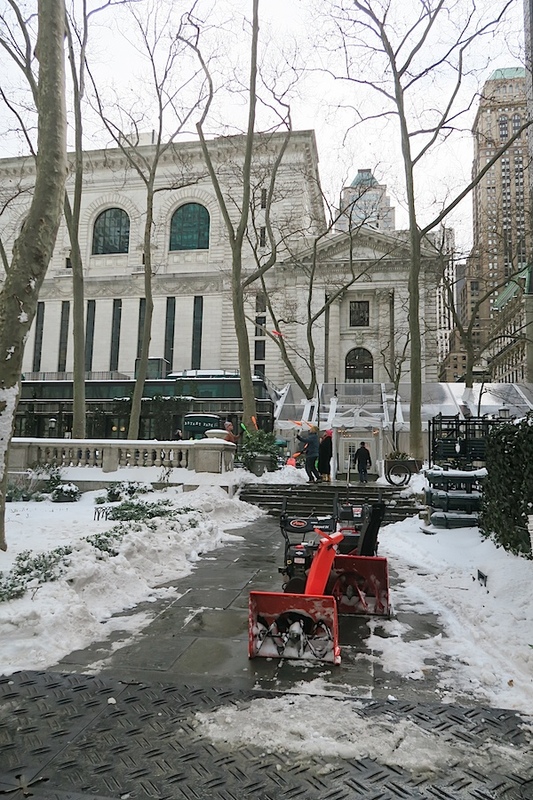 The snow didn’t stop these jugglers (towards the back of the photo) from enjoying a play break. Another place I frequent is Dig Inn. I’ve mentioned them before, but they change their menu around frequently. On this day, I tried one of the new sides – golden beets with quinoa and orange. It was so good! I had this with brown rice, kale, and mom’s braised beef. 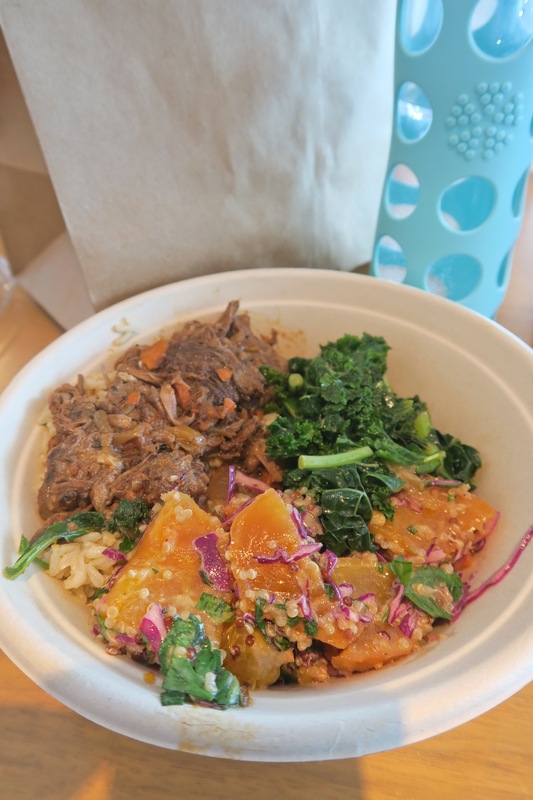 I love the Dig for their Mindful Sourcing and tasty eats. I can only hope somewhere like this opens in Charlotte one day. 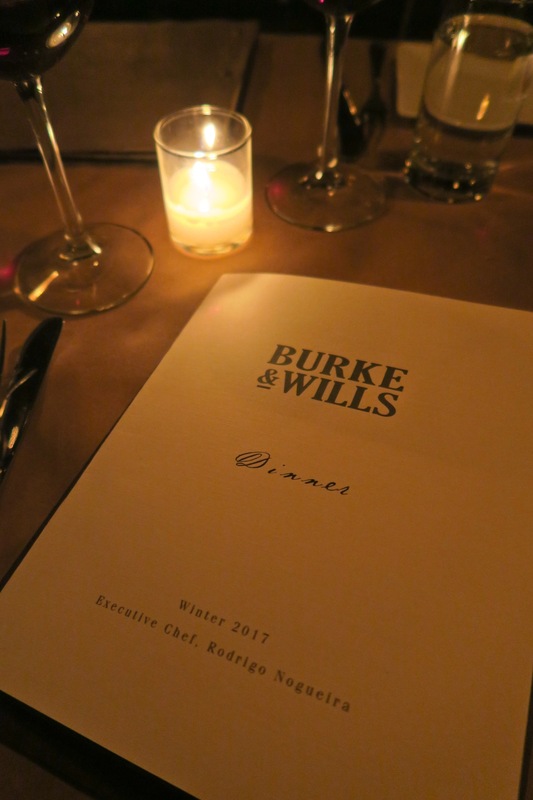 For dinner, I went out with some new friends to an Australian restaurant in the Upper West Side, Burke & Wills. For a brief moment, I considered ordering the kangaroo burger. But, when the waiter said it tasted a little gamey, I figured it wouldn’t be my cup of tea. I had one of the fish dishes. 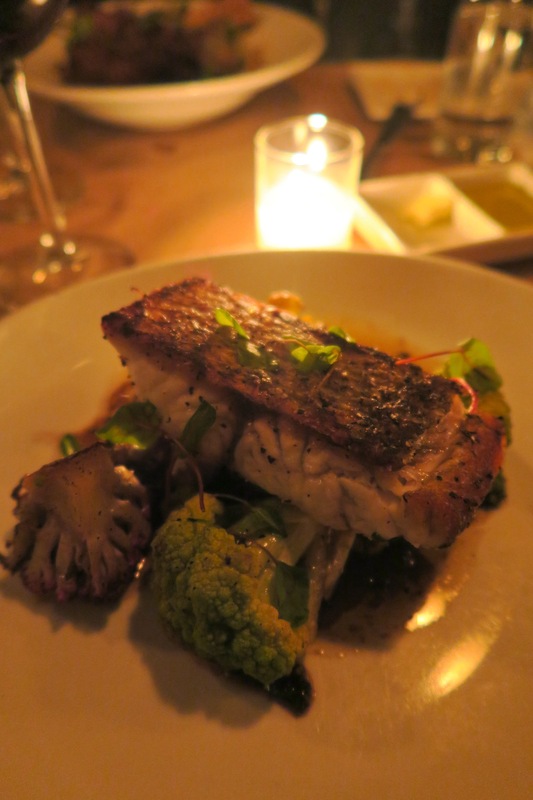 From the menu: “wild barramundi, roasted cauliflower, capers, brown butter”. It was delicious. The brown butter was very flavorful, and I loved that the cauliflower was crisp-tender. And multi-colored! I did get to taste a bite of the kangaroo burger because someone else at the table ordered it. It wasn’t nearly as gamey as I expected. It tasted a little bit like a bison burger. It was very lean and seasoned nicely. I considered leaving this off of the post, but I like to keep it real with you guys. I messed up my Lent plans, and I ate one doughnut. 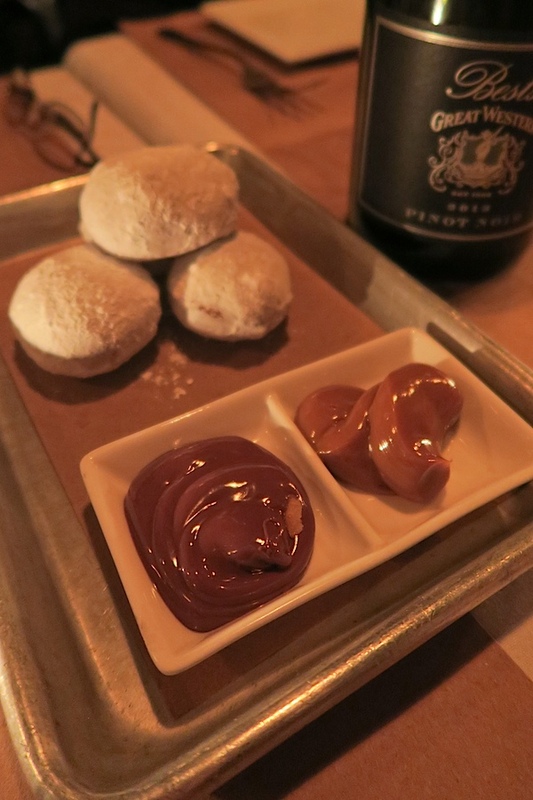 It reminded me of the doughnuts I love to order at The Wine Shop back in Charlotte. This version came with two dipping sauces – nutella and caramel. Burke & Wills was a cool restaurant. If you’re into eating unusual food, I can’t say I often see a kangaroo burger on the menu. The rest of the menu has a small but plentiful selection, including small plates and full entrées. Upon telling my Australian friend about it the next day, I learned that Burke & Wills are the names of two explorers who tried to (unsuccessfully) cross Australia in the 1800s. Apparently, they’re quite famous in Australia and have statues in Melbourne. Has anyone else messed up their Lent plans? How did you recover? 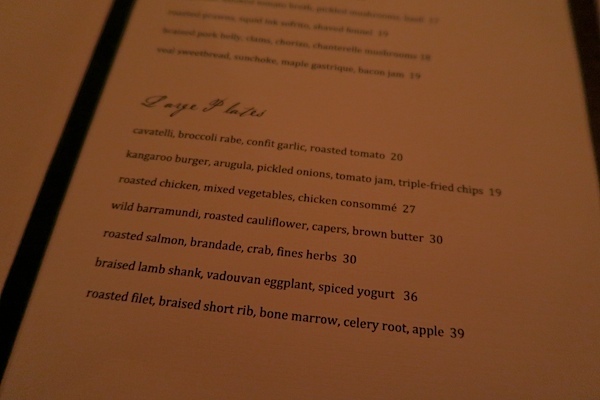 Back to the Australian eats…have you ever tried kangaroo? What did you think of it?